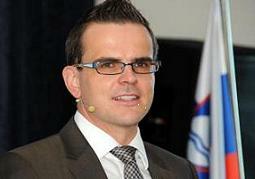 Slovenia is heading for a snap election on July 13, 2014, the second in less than three years. However, this time around there is a very high risk that the election is going to take place contrary to the standards anticipated in a liberal constitutional democracy based on the rule of law. The leader of the centre-right opposition, Mr. Janez Janša, chairman of the Slovenian democrats, appears to be ousted from the political battle as he is to start serving his 2-year prison sentence on June, 20, just three weeks before the election. Of course, while we are used that politicians go to jail, even if infrequently, but often on corruption charges, it is less usual, at least for so-called Western Europe, to see leaders of the opposition jailed literally just days before the election. Such cases are per se suspicious for a potential abuse or at least instrumentalization of the judiciary by the ruling powers against their potential political opponents. The Slovenian case, briefly presented in what follows, shows with full force that such use of the judiciary is possible even in a formally well-ordered and law-abiding EU Member State. It all publicly started in 2008, a few weeks before the general parliamentary election, when the Slovenian national TV showed a Finnish documentary claiming that the then Slovenian Prime Minister Janez Janša was bribed by the Finnish arms-selling corporation Patria, which was consequently and as a result awarded the contract with the Slovenian government. The documentary identified the recipient of a bribe exclusively with the letter J, that a couple of years later turned out to stand not for Janša but for a Croatian businessman Jerković. Nevertheless, a huge political controversy understandably broke loose. The political scandal made Janša finish second in the parliamentary election and resulted in the establishment of the political left government. It was only two years later that a direct indictment was brought against Mr. Janša by a state prosecutor who is a wife of an agent of the Slovenian communist secret-service police that arrested Mr. Janša as a political dissident during the communist period in the late 1980s. The indictment accused Mr. Janša and others of having committed a crime of accepting gifts for illegal intermediation pursuant to Art. 269 of the Slovenian Penal Code. However, the indictment raised a lot of controversy as the criminal offence was literally alleged to have been committed on an undetermined date, at an undetermined place and through an undetermined method of communication. This patently constitutionally flawed indictment nevertheless led to a trial at the local court of Ljubljana which after a number of months (in between local and another parliamentary election) found the defendants guilty. The case was then appealed to the High Court of Ljubljana on all counts, but the High Court confirmed the ruling of the local court as it stood. Mr. Janša has thus been convicted with the force of res judicata exclusively on the basis of circumstantial evidence for having accepted a promise of an unknown award at a vaguely determined time, at an undetermined place and by an undetermined mode of communication to use his influence, then as a Prime Minister, to have a military contract awarded to the Finnish company Patria. Space precludes an in-depth analysis of all constitutional violations internal and external to the case. They have been faithfully documented and analyzed by Vlad Perju of Boston College in his independent opinion delivered just recently. It suffices to say that the High Court itself committed manifest violations of lex certa as a principle of rule of law and several violations of the right to a fair trial. The High Court openly stated that neither the time nor the place of the alleged criminal offence are constitutive of the crime, since they merely contribute to the individualization and concretization of the crime. The High Court went even further by ruling that the fact that the crime was allegedly committed through an undetermined method of communication is unproblematic, as the act of accepting the award is sufficiently defined in the abstract provision contained in the Penal Code (sic!). Moreover, the High Court stressed a number of times that the wording of Art. 269 of the Slovenian Penal Code was open-textured, but instead of construing it narrowly in line with the requirements of lex certa, the Court used it as a way of attributing the criminal act to the defendant. Finally, in clear violation of the criminal procedural law, the High Court at times even appears to be shifting the burden of proof on the defendant, who has thus been forced to acquit himself from the indictment, which, as phrased, has effectively disabled him to present any alibi or to prepare a meaningful defense. According to this brief analysis, it appears clear that the judgment of the High Court of Ljubljana is vitiated by so many flagrant violations of human rights and constitutional principles, that the defendant could have a direct access to the Constitutional Court by way of a constitutional complaint. According to Art. 51 of the Constitutional Court Act the Constitutional Court can accept the constitutional complaint even prior to the exhaustion of all other remedies. It can do so, if the complainant demonstrates a manifest violation of his constitutional rights and if this is necessary to prevent irreparable consequences for the complainant resulting from the implementation of the contested judgment. The Constitutional Court is expected to deliver its judgment on the admissibility of the constitutional complaint and potential suspension of the execution of the prison sentence in the beginning of the next week. That is just a few days before Mr. Janša is to start serving his prison sentence. If the Court turns his constitutional complaint down on procedural grounds for the failure of not having exhausted all legal remedies, Slovenia will find itself in an unprecedented constitutional regression, whereby the leader of the opposition will be jailed in the middle of the electoral period for a crime that has been attributed to him following a trial that falls short of any standard of minimum fairness. If so, the case of Slovenia will join the notorious Hungarian and Romanian examples of apparent constitutional back-sliding and will call for an appropriate reaction by the international academia. Especially since the Slovenian academia, with few notable exceptions, has remained, for the reasons inherent to post-socialist frail democracies, more or less silent. SUGGESTED CITATION Avbelj, Matej: Will Slovenia join Hungary and Romania as examples of constitutional back-sliding?, VerfBlog, 2014/6/14, https://verfassungsblog.de/slovenia-bound-jail-opposition-leader-electoral-period-2/. Journalists Matej Šurc and Blaž Zgaga investigated the illegal trade of arms in Slovenia during the early 1990s and chronicled their findings in the trilogy In the Name of the State. The first volume of the trilogy, Sell, published in June 2011, focused on the sale of arms and ammunition. The second volume, Resell, appeared in October 2011 and dealt with the purchase of arms abroad and subsequent resale to Croatia and Bosnia and Herzegovina during the UN arms embargo. The third volume, Cover-up, describes how the arms smugglers managed to keep their activities largely concealed for the last twenty years and was published in April 2012. Perhaps Slovenia should research arms dealing due to independance? Perhaps should Slovenia research a documents falsification for the purpose of discreditation of President of Slovenia? Should Slovenia research unexplained amounts of cash, found on bank account of ex PM? Should Slovenia be punished for placing monuments for honoring units that was part of Hitler’s army – with honor speech of ex PM Janez Jansa? A criminal is a criminal – his place is in jail. Slovenians prefers Haag – for war crimes. "The documentary identified the recipient of a bribe exclusively with the letter J, that a couple of years later turned out to stand not for Janša but for a Croatian businessman Jerković." –> This sentance is bullsh….., a mantra, repeaded by Jansa’s followers. This article is credible and entertaining as one of Benny Hill’s show. komisija za preprečevanje korupcije je med drugim ugotovila, da se je vaše premoženje nepojasnjeno povečalo za najmanj 210.000 evrov. Vira teh sredstev komisiji še niste razkrili, dokazno breme pa je v tem primeru na vaši strani. Naj vas zato spomnim na prodajo od JLA prevzetega in zaseženega orožja ter preprodajo v tujini nabavljenega orožja, ki je večinoma potekala med letoma 1991 in 1993. Takrat ste bili minister za obrambo. Ko je v Sloveniji cvetelo vojno dobičkarstvo, nadzorni mehanizmi niso bili učinkoviti ali pa še niso bili vzpostavljeni. Rojstvo države in bližino vojne je bilo tako mogoče izkoristiti tudi za prodajo orožja, torej za plenjenje države in kopičenje zasebnega bogastva. Na tem mestu ne želim pogrevati sicer nikoli docela pojasnjenih orožarskih afer, niti razpravljati o etiki, še manj o kazenski odgovornosti, kajti postopki povezani z orožjem so (razen Patrie) zastarali. Nerešeno pa ostaja bistveno vprašanje: kje je denar od orožja? Odgovor si zaslužijo tudi branilci iz Hrvaške ter BiH, ki so v Sloveniji kupovali orožje – tudi po oderuških cenah. V zadnjih petih letih sva z novinarskim kolegom temeljito preučila dokumentacijo o trgovini z orožjem, ki sem jo pridobil s pomočjo Informacijske pooblaščenke. Napisala sva tri knjige s skupnim naslovom V imenu države (Odprodaja, Preprodaja, Prikrivanje). V trilogiji so objavljeni verodostojni dokumenti in izjave prič, ki kažejo na to, da ste vi nadzorovali gotovinsko prodajo orožja in skrbeli za izkupičke. Jeseni 1994 je Uprava za logistiko Ministrstva za obrambo preštela količino in vrste na Hrvaško in v BiH prodanega orožja ter ocenila, da je bilo vredno najmanj 140 milijonov takratnih nemških mark. Ko ste vodili ministrstvo, je bil za gotovinsko prodajo orožja operativno zadolžen Varnostni organ MO (Vomo). Njegov direktor je bil Andrej Lovšin, evidence pa je vodil Franci Cimerman, vendar so te pozneje izginile. V drugi polovici leta 1994 je na Vomu potekala notranja preiskava. Vodja protiobveščevalnega oddelka je priznal, da je Cimerman po Lovšinovem nalogu čez mejo v Avstrijo petkrat peljal poslovni kovček poln nemških mark. Vodja obveščevalnega oddelka pa je preiskovalcem povedal, da je Vomo do spomladi 1993 iztržil 60 milijonov mark. Denar, ki je ostal v Lovšinovi blagajni, je bil po njegovih besedah izročen vam. Cimerman je na zaslišanjih v Državnem zboru trdil, da je vse počel po Lovšinovem nalogu, Lovšin pa je ponavljal, da je o teh stvareh potrebno vprašati vas. Takih in podobnih obremenilnih zadev na vaš račun je v trilogiji še veliko, vendar avtorjev niste tožili. V tretji knjigi je objavljeno tudi vaše poročilo o orožju od maja 1990 do septembra 1993, kjer je zapisanih precej polresnic in zavajajočih podatkov. Prodaje orožja za gotovino pa sploh niste omenili. Nedavno mi je Informacijska pooblaščenka omogočila še vpogled v nekatera doslej zaupna poročila Komisije DZ za nadzor obveščevalnih in varnostnih služb o trgovini z orožjem in v posebno analizo dokumentov, ki sta jo spomladi 2008 za DZ pripravila strokovnjaka Mitja Klavora in Bojan Gričar. Pritrdila sta ugotovitvam, da je MO na Hrvaško prodajal orožje po nekajkrat višjih cenah, kot ste jih prikazali v svojem poročilu. Navedli ste tudi znatno manjše količine orožja od dejansko prodanih. Še vedno pa niste argumentirano pojasnili, kam je šel izkupiček, ki je bil, kljub pomanjkljivi (uničeni) dokumentaciji, ocenjen na več deset milijonov nemških mark. Iz dokumentacije je razvidno, da je imel uslužbenec MO na Bank für Kärnten und Steiermark v Celovcu odprt račun. Z njega je vplačal nakup avtomobilov za ministrstvo, nakup pištol iz Italije in gradbene storitve podjetja SCT za specialno brigado Moris. Kriminalisti so v devetdesetih letih pozivali tožilstvo, naj pristojni organi v drugih državah omogočijo vpogled v BKS in druge banke ter na bančne račune podružnic slovenskih podjetij v Nemčiji, Švici … zaradi suma pranja denarja od prodaje orožja. Vendar tožilstvo tega ni storilo. Ampak denar je nekam moral iti? V zasebne žepe, v davčne oaze, na druge kontinente …?